The Force is strong with Battlefront II. During our recent trip to Gamescom and Cologne, we played the same demo that others here at Gamereactor played at E3, and we liked that slice of action a lot despite the fact that it took us to Naboo, the scene of some of our worst Star Wars memories (we might even mention it later, although you can read a more comprehensive and detailed opinion by hitting this link), but more importantly we got to grips with Starfighter Assault, the new mode demoed at EA's Gamescom booth and shown off during the publisher's press event. And we liked that even more than when we had boots on the ground on Naboo. 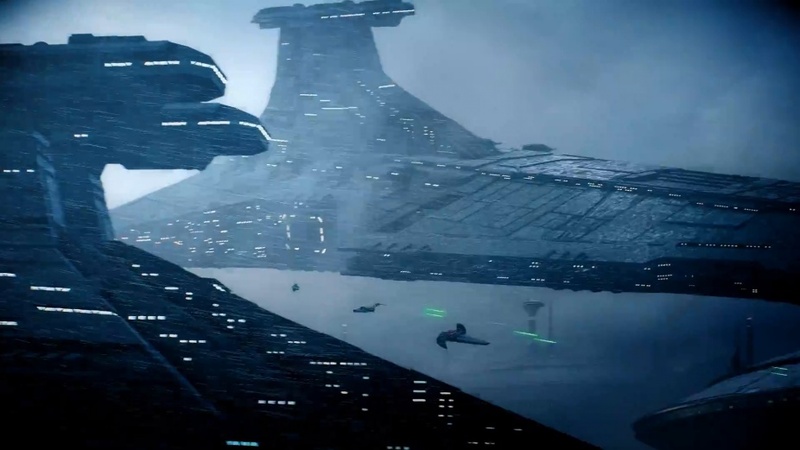 While we might mention the E3 demo, what we really want to tell you about is the battles we fought (on each side of the Imperial divide) at the shipyards at Fondor, where a huge star destroyer sits docked, vulnerable, waiting to be destroyed. Playing as an attacking rebel, we first got behind the controls of the iconic X-Wing, a firm favourite of pretty much anyone and everyone who has ever dreamed of taking to the stars in A Galaxy Far, Far Away. Later, we switched sides and blasted away mercilessly at those rebel scum as the tables were turned. We also dabbled in some of the other craft, including the A-Wing and the Tie Interceptor, but regardless of which ship we piloted, the action was fast, frantic, and extremely polished. Ships on each side are divided into three classes, your balanced fighter, the swifter interceptor and the sturdier, heavy-hitting bomber. With the first Battlefront DICE showed us what they could do, and in this sequel, it looks as though it will finally reach its full potential. It certainly helps that DICE and EA decided not to charge for future maps, and we know that the community will stay together for the duration; a welcome change of direction that should do wonders for the game's long-term prognosis. The mode we were playing, which is being handled by Criterion and not DICE, had us flying in and around a ring-shaped space station. Playing as the rebels you had to take out a space station, along the way destroying a light cruiser, before finally taking down a star destroyer (as well as a bunch of enemy pilots who are trying to stop you throughout). This particular map was set during the original trilogy, although Starfighter Assault will extend across all three eras in the Star Wars saga. On top of busy airspace filled with two teams of twelve, NPC-controlled craft also get involved, and it always felt like there was something to shoot at or an objective to try and tackle. Through the various phases of the content, the objectives constantly shift. It'll be relatively familiar to existing Battlefront players, but even for the uninitiated, it's always clearly signposted what you have to do and where you need to focus your attentions. The various craft all felt suitably different, and their abilities can be tweaked using ship-specific star cards, so there is an aspect of customisation. These abilities are mapped to L1/LB and R1/RB, and while we didn't experiment during our hands-on time at Gamescom, you can set things up so your ship caters to your needs (upon reflection we found a setup where slowly regenerating health for the Tie Fighter was really helpful). There's a lot going on at all times, and you can set yourself up to fulfil a specific role in battle, or you can play star cards that'll make you a jack of all trades. As you might expect given the heritage of Battlefront, it looks absolutely incredible. The explosions pepper the skyline, and everything feels authentic. Hero-specific craft such as the Millennium Falcon and Slave I are a genuine highlight, although it seems as though you can play with on original trilogy maps with craft from different eras, which might irritate purists a little. What won't frustrate people is the attention to detail that has been paid elsewhere, and we can't stress enough how impressive Star Wars Battlefront II is from a visual perspective. It's impressive from a gameplay perspective too. We enjoyed the change of pace offered by Starfighter Assault, but we also had a good time when we got out of the cockpit and went down to the surface of Naboo. Across both modes you can pick your class, which will largely decide the way you play. We opted for a mid to long range specialist, and waged war against the droid army as it marched through the opulent city where the action played out. 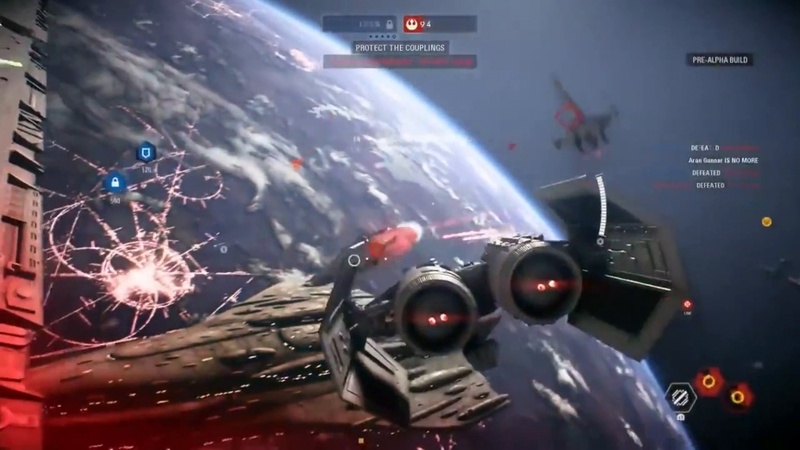 Like its dog fighting counterpart, this map offered plenty of action, and it was a welcome addition to EA's Gamescom lineup, but it was Starfighter Assault that won us over, and we thoroughly enjoyed both of the matches that we played. We look forward to playing some more when Star Wars Battlefront II lands on PC, PS4 and Xbox One on November 17.